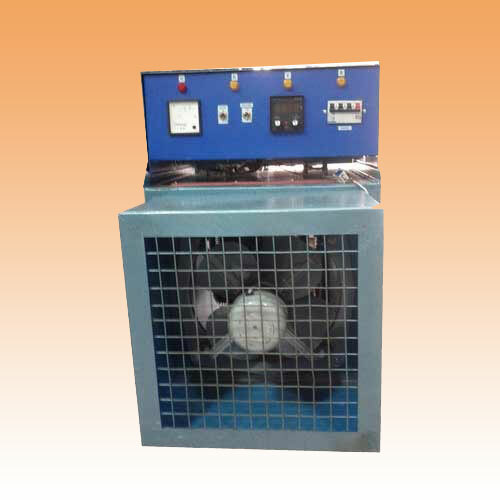 Portable Air Heating Unit for drying / heating innumerable applications. Consist of tubular type or naked coil type air heating element of suitable watt density in compare with the air velocity, with axial fan & suitable temperature controlling arrangement (thermostatic or digital temp. controller) fitted in MS enclosure with louvers & caster wheels. 9 to 60 KW with suitable fan and motor.